Home Learning Center Friends of Kenshiro Abbe Sensei? Friends of Kenshiro Abbe Sensei? 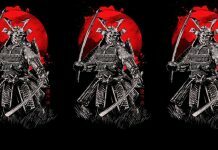 The Kenshiro Abbe Memorial Tribute website and its contributors are either direct or indirect students of Kenshiro Abbe Sensei. Students, who would never refer to themselves as `friends` of Abbe Sensei, simply privileged students. The visitor will notice that there is a distinct absence on this we site of references or contributions from any of the growing number of people who call themselves ‘friends’ of Abbe Sensei or ‘my teacher was a great friend of Abbe Sensei’. With the advent of computers and the internet, we are now deluged with information that previously would have been unavailable or very difficult to find. 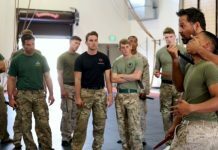 Due to this new access to world wide information, we are now seeing so many claims to have been a direct student or friend of many of the great and sadly deceased Budo masters. At the same time the internet offers us the opportunity to research the people making these claims. 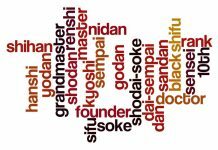 In recent years I have been amazed by the amount of people who are prepared to simply sit back and allow any individual or organisation to not only corrupt our Budo history, but also the proud lineage of our Budo and that of our teachers. I have seen so many times where people have written “Does it matter ?” ( Yes! it does matter ) — “ Who cares “. — ( I for one care ) “ I could not care less ! 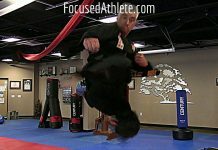 just get on the mat and practice “ ( Where do you think the knowledge comes from that you can now get on the mat and practice ) I find it hard to understand how anyone with that attitude would want to be involved in the Martial Arts at all. After all, the very core of our Budo spirit is our Lineage. If the true Lineage and the History is corrupted, what do we have to offer the future generations who will know no different. The late William ( Bill ) Woods Sensei, was the secretary and personal aide to Abbe Sensei, from his arrival to the UK in 1955. 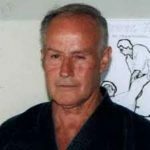 He was later instrumental in creating the British Judo Council (BJC ) and the other various Budo Councils, reaching a membership in excess of 35000. At a meeting I had with Bill before he became very ill, we discussed the rising tide of `friends` of Abbe Sensei, we agreed that this was a cry for credibility by most of these individuals making these claims. 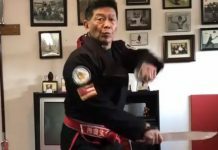 It has in recent years become more and more common to find various individuals claiming some kind of lineage to the conveniently deceased Martial Arts masters. Offering no certification or documentation or photographic evidence to ratify their claims. Although I have worked hard with the other organisers of the “ Kenshiro Abbe 50th Celebrations” in an effort to celebrate the life of Abbe Sensei and his achievements. I am not, and do not pretend to be an authority on Abbe Sensei I do receive many emails asking for information or simple clarification of certain events, where possible, I will offer my help or advice. 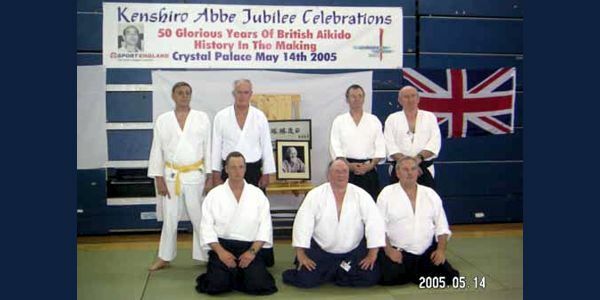 For example, one Aikido Dan grade from the North East of England contacted me to say that his teacher claimed to have trained at the Hut Dojo, and to be a direct Aikido student of Abbe Sensei, graded to Dan grade in Aikido by Abbe Sensei, therefore, could he inform his students that they were `Indirect` students of Kenshiro Abbe Sensei? The answer was no! His teacher was in fact a Judo student/teacher with the BJC and Abbe Sensei. His teacher had never trained at the Hut Dojo, he had never been graded to Dan grade in Aikido by Abbe Sensei. In fact, I had never seen this teacher practice Aikido. Unfortunately this teacher is now deceased and nothing is gained from naming names. I was later advised that when someone wrote to the organisation of this person asking for some Aikido history on their teacher, they were informed, “ It was my teacher who persuaded Harry Ellis in 1957 to leave Judo and join the Aikido section at the Hut Dojo” Total round objects !!!! I met this person for the first time in 1963. I had my first conversation with him in 1994. There was another teacher in the Midlands, who not only claimed that he was a friend of Abbe Sensei, but that his wife was also a great friend of Sensei too. The truth is that he was a student on the early 1960’s seminars where Sensei Ken Williams and I taught. He was never a direct student of Abbe Sensei or a friend. Total round objects !!! There are so many of these stories that both Gerry Gyngel and Derek Eastman and myself place this at number one. This claim is still on the offenders website, see below. “” Mr X ( deceased ) was a great friend of Kenshiro Abbe Sensei, they met when Abbe Sensei first arrived in the UK in 1955, they instantly became great friends. They would sit into the late hours deep in philosophical and psychological discussions. Total round objects!!! Those that knew Abbe Sensei will tell you that his command of the English language was almost zero when he arrived, and very poor when he left to go back to Japan. No one that I know who was associated with Abbe Sensei remembers this man. There are many such stories. We intend to protect the name of Abbe Sensei where possible.